Indiana University appears in our ranking of the 30 Best Online Schools for Graduate Degrees. Nearly 700,000 professionals working in cities all around the world earned their degrees from Indiana University. Students today can earn their degrees at any level and join this active alumni network. The university now offers more than 300 majors and degree programs for undergrads attending its main campus in Bloomington. Accounting is just one of the undergrad majors that are available from the Kelley School of Business. Other bachelor’s programs feature majors in community health, earth science, studio arts, and sports marketing and management. There are more than 270 majors and degrees for graduate students attending Indiana University too. Its Kelley School of Business offers a Master of Business Administration (MBA) that ranks as one of the best MBA programs in the Midwest. A Master of Public Health program is available for those who want to learn about community health and health promotions. Its apparel merchandising program is popular among designers and those who want to run retail stores or work in the retail industry. They learn how to create designs that appeal to the public. The university offers different management programs too, including those in water management and urban management. The School of Education and other schools at Indiana University offer more than 30 online degree programs too. While undergrads can take online classes, graduate students can earn their full degrees online. The adult education program is available through the School of Education and focuses on the issues that arise when working with adult students, including in vocational schools and community colleges. Education majors can also study literacy, culture and language education. 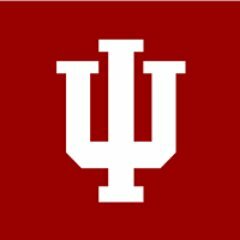 Some of the other online degree programs available from Indiana University include majors in general management, supply chain management, finance, data science, and accounting. Indiana University is the flagship institution in the state of Indiana. Though it consists of multiple campuses, most use the Indiana University when talking about the main campus in Bloomington. Also called IU, IU Bloomington and Indiana, it is a Public Ivy. This means that IU offers the same classes and education experiences that Ivy League colleges do but at a lower price. Founded in 1820, it used the name State Seminary during those early years. The school would slowly add more programs and develop a traditional university curriculum that prepared students to work in a number of fields. The IU Bloomington campus is home to some structures that are on the National Register of Historic Places. U.S. News and World Report ranks IU as the 90th best university in America. It also ranks its social psychology, health care management, English and business as some of the nation’s best programs in those majors. Both Washington Monthly and ARWU rank IU among the top 100 colleges in the country. Those same organizations also rank the university in terms of the top schools in the world. IU has an enrollment of more than 43,000 traditional students on its Bloomington campus alone. Indiana has accreditation from the North Central Association of Colleges and Schools (NCACS), which functions as both institutional and regional accreditation. NCACS accreditation not only lets IU give degrees to its students and offer various degree programs, but it also allows it to design financial aid packages based on the individual needs of students and accept credits earned at other schools. Many of the IU degree and certificate programs have accreditation too, which comes from organizations such as the National Council for Accreditation of Teacher Education (NCATE) and the Council on Social Work Education (CSWE). Though IU has an early application deadline, it allows students to apply to other colleges at the same time. The deadline for early applications is November 1, but it will keep accepting applications up through the beginning of February. Students typically need to take four semesters of English classes, seven semesters of math classes, six semesters of life and social science courses, four semesters of a foreign language and three semesters of other college prep courses. The IU application has an essay section that students must complete and has an attached fee. Undergrads will also need to submit their official test scores and transcripts to IU as part of the application process. Incoming graduate students will also use the IU application and pay a fee of at least $60. Some programs may charge a higher application fee. Most programs require an official GRE score and transcripts from the colleges that students previously attended. They may need to supply either a letter of reference or multiple letters of recommendation. Many programs ask for at least two of these letters and will require that students get letters from both academic and professional references. They may need to write and submit a personal statement too. The cost of attending IU for full-time students who are also Indiana residents is $10,680 per year. Nonresidents pay $35,456 per year to attend IU full-time. Undergrads also pay close to $10,500 a year for room and board, though local students have the chance to live with their families. Graduate students pay $385 per credit hour as an Indiana resident and $1,331 per credit hour as a nonresident. These students also pay fees of more than $600 a year, which does not include the cost of their textbooks or their living expenses. Incoming IU students who need financial aid can get their student ID numbers and apply for financial aid with the FAFSA. Many students will qualify for both loans and grants, though undergrads receive subsidized student loans while graduate students get unsubsidized student loans. Both types of students can also use alternative loans that come from private lenders. IU offers scholarships for both traditional and online undergrads. Some of these scholarships provide students with funds based on their merit, while others base award packages on the needs of the student. There are also scholarships available for athletes and student performers. Fellowships and other awards are available from the university for graduate students. Students may need to apply for some of these awards and meet specific requirements, including having a high grade point average and enrolling in a certain program. Indiana University offers financial aid packages that reduce the overall costs of any of its degree programs.